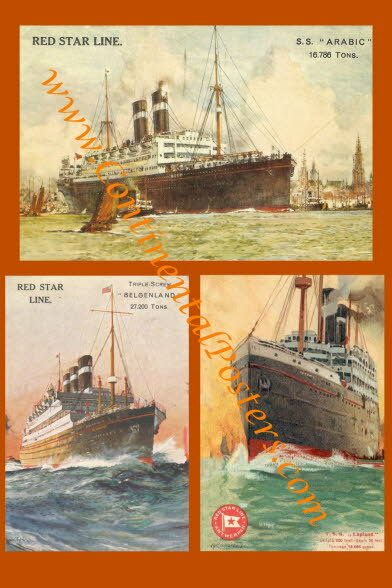 Red Star Steamers were active from Antwerp / Antwerpen / Anvers to New York, Boston , Canada etc. 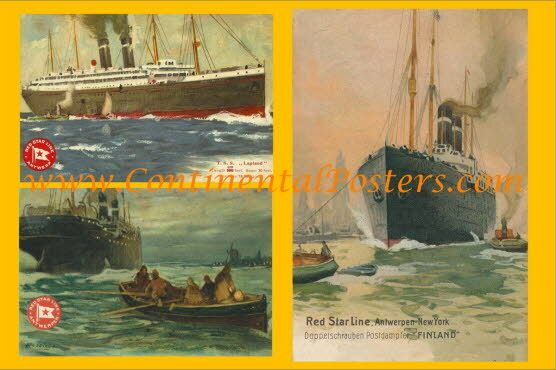 Posters of Red Star Steamships. 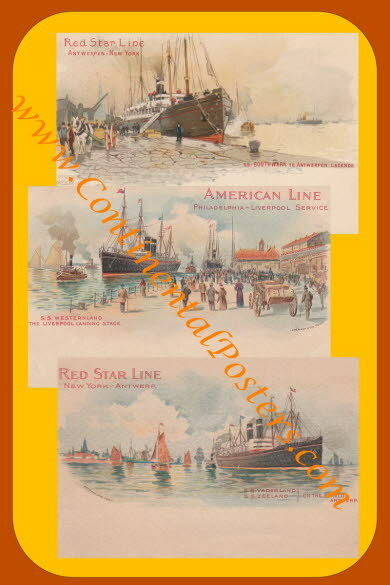 Assemble your own poster! 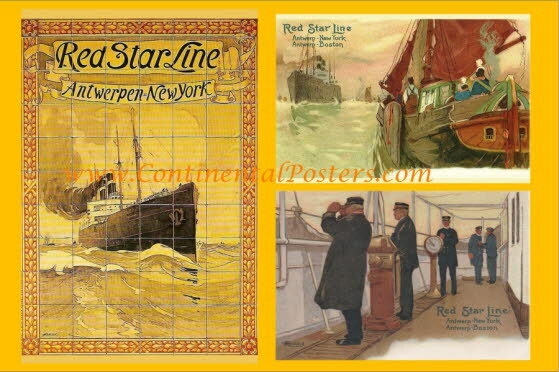 Every picture of a steamer can also ordered as a single poster.